There is no better place for an Elvis fan in August than at Elvis Presley's Graceland in Memphis. Elvis Week 2019 offers nine days of celebration of the music, movies and legacy of Elvis. Elvis Week has something for everyone - from live music, concerts, panel discussions, Elvis tribute artists, dances and more! There will be exciting changes at Elvis Week 2019, including our live music pavilion that will feature continuous live entertainment and a comfortable area for fans to recharge and reconnect. Whether this is your first time or you have been coming for many years, this is the perfect year to experience Elvis Week in Memphis with exciting new changes, an all-star line-up of guests and more free events than ever before! Departs from The Guest House at Graceland at 8:30 am, returns to The Guest House at Graceland by 3:30 pm. While Elvis Presley became the biggest name in music history and achieved worldwide fame and fortune, his roots in the Northeast Mississippi city of Tupelo were humble. Guests will experience the rural setting of Elvis' upbringing and see where it all began in the two-room house where the King of Rock ‘n' Roll was born on January 8, 1935, the church he attended in his youth and see artifacts from his modest beginnings. Book your Graceland Excursion online at Graceland.com or by calling 800-238-2000 or 901-332-3322. 10:00 am – 11:30 am. Guest House Ballroom, The Guest House at Graceland. ETA Platinum and VIP Ticket Package Buyers only. 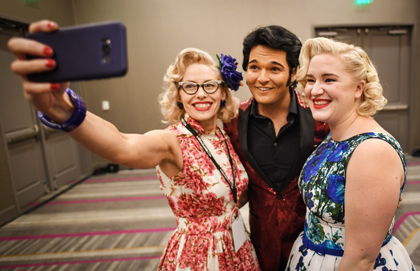 Purchasers of the Ultimate Elvis Tribute Artist Contest VIP Ticket Package are invited to a meet ‘n’ greet with the semifinalists of the 2019 contest. Mingle with the 2019 semifinalists, take pictures and enjoy light appetizers and refreshments. Hosted by Ultimate Elvis Tribute Artist winner Dean Z. Click here for a list of Elvis Tribute Artist packages and tickets. 2:00 pm. Guest House Theater, The Guest House at Graceland. Experience the ultimate competition as 20 of the best Elvis tribute artists in the world take the stage at Graceland to see who will take home the crown of the Ultimate Elvis Tribute Artist of 2019. Hosted by Joey Sulipeck, with contestants backed by the EAS Band, the audience will experience an amazing night of live entertainment as the field is narrowed from 20 competitors down to 10 finalists, who will take the stage the following evening for the final round of the competition. Your Semifinal Round ticket also includes access to the Ultimate Elvis Week After-Party hosted by Jeff Lewis below. See a list of semifinalists who have already qualified. Ultimate ETA Ticket Packages are available that include tickets to the Semifinal Round plus other Elvis Week ETA events and experiences, or you can buy an individual ticket to this event. Click here for a list of Elvis Tribute Artist packages and tickets. Tickets for this event are on sale now through Graceland Reservations by calling 800-238-2000 or 901-332-3322, online at Graceland.com, or at the door, pending availability. Immediately following show until 12:00 am. Elvis Presley’s Memphis. Free to all Semifinal Round Ticket Holders. The party continues after the Semifinal Round at Elvis Presley’s Memphis. Hosted by Jeff Lewis, many of your favorite Elvis tribute artists will be jamming on the outdoor stage at Elvis Presley’s Memphis. Cash bars and food will be available – and select restaurants, gift shops and exhibits at Elvis Presley’s Memphis will remain open until 11:00 pm. Ultimate ETA Platinum Package purchasers receive free reserved seating at the After-Party. Tickets: $25; ticket is included as part of the Ultimate ETA VIP package. Join Ultimate Elvis Tribute Artist Dean Z for an afternoon at the Guest House Theater where he will be joined by fellow Ultimate Elvis Tribute Artist winner Jay Dupuis, plus other surprise guests, for live Elvis music and personal stories. An intimate acoustic experience among friends sharing music, laughter and fun. Tickets for this event are included as part of the Ultimate Elvis Tribute Artist VIP Package. Click here for a list of Elvis Tribute Artist packages and tickets. Tickets for this event are on sale now through Graceland Reservations by calling 800-238-2000 or 901-332-3322, online at Graceland.com, or at the door, pending availability. Tickets: $60, $50, $40; also available as part of an Ultimate ETA Platinum, VIP or Fan package. The 2019 Ultimate Elvis Tribute Artist Contest will end as the winner is crowned during the Final Round of the competition. Hosted by Joey Sulipeck, the top 10 Elvis tribute artists from the Semifinal Round will return to see who is crowned the 2019 winner – and will take home a $20,000 prize. Enjoy more than 20 performances by our finalists, backed by the EAS Band, plus a feature performance by 2018 Ultimate Elvis Tribute Artist Contest winner Ben Thompson. A fun and exciting night of competition! Your Final Round ticket also includes access to the Ultimate Elvis Week After-Party Hosted by Jeff Lewis listed below. 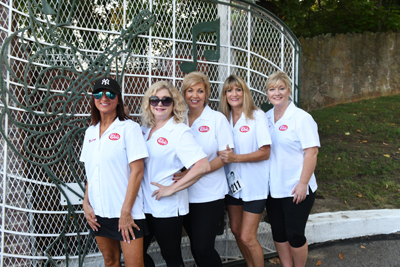 Ultimate ETA Ticket Packages are available that include tickets to the Final Round plus other Elvis Week ETA events and experiences, or you can buy an individual ticket to this event. Click here for a list of Elvis Tribute Artist packages and tickets. Tickets for this event are on sale now through Graceland Reservations by calling 800-238-2000 or 901-332-3322, online at Graceland.com, or at the door, pending availability. Free to all Final Round Ticket Holders. The party continues after the Final Round at Elvis Presley’s Memphis. Hosted by Jeff Lewis, many of your favorite Elvis tribute artists will be jamming on the outdoor stage at Elvis Presley’s Memphis. Cash bars and food will be available – and select restaurants, gift shops and exhibits at Elvis Presley’s Memphis will remain open until 11:00 pm. Ultimate ETA Platinum Package purchasers receive free reserved seating at the After-Party. Join Ultimate Elvis Tribute Artist Dean Z for an afternoon at The Guest House Theater where he will be joined by Ultimate Elvis Tribute Artists Ben Thompson and Dwight Icenhower for live Elvis music and personal stories. An intimate acoustic experience among friends sharing music, laughter and fun. Tickets for this event are on sale now through Graceland Reservations by calling 800-238-2000 or 901-332-3322, online at Graceland.com, or at the door, pending availability. Tickets: $60, $50, $40; also available as part of an Ultimate ETA Platinum, VIP and Fan package. Hosted by Dean Z, enjoy an incredible live concert featuring past Ultimate Elvis Tribute Artist winners. Performers include 2018 Ultimate winner Ben Thompson, 2011 Ultimate winner Cody Slaughter and the first-ever Ultimate Elvis Tribute Artist Contest winner Shawn Klush. Plus, our newly-crowned 2019 Ultimate winner, who will be selected the night before during the Final Round competition, will take the stage in an opening feature performance. Your Ultimate Return ticket also includes access to the Ultimate Elvis Week After-Party Hosted by Jeff Lewis listed below. Ultimate ETA Ticket Packages are available that include tickets to The Ultimate Return plus other Elvis Week ETA events and experiences, or you can buy an individual ticket to this event. Click here for a list of Elvis Tribute Artist packages and tickets. Tickets for this event are on sale now through Graceland Reservations by calling 800-238-2000 or 901-332-3322, online at Graceland.com, or at the door, pending availability. Free to all Ultimate Return Ticket Holders. The party continues after the Final Round in the streets of Elvis Presley’s Memphis Hosted by Jeff Lewis, many of your favorite Elvis tribute artists will be jamming on the outdoor stage at Elvis Presley’s Memphis. Cash bars and food will be available – and restaurants, gift shops and exhibits at Elvis Presley’s Memphis will remain open until 11:00 pm. Ultimate ETA Platinum Package purchasers receive free reserved seating at the After-Party. 7:00 pm. Graceland Soundstage, Elvis Presley’s Memphis. Tickets: $110, $55, $45 $35; also available as part of the Ultimate ETA Platinum package. See Elvis’ most electrifying performances performed live on stage by Ultimate Elvis Tribute Artist Dean Z in his first solo performance at Graceland. This fast-paced show will be exciting, non-stop entertainment from the time Dean Z takes the stage through his closing number. A not-to-be missed concert experience! A special Dean Z Fan Experience is available as part of the Ultimate Elvis Tribute Artist Platinum Package – or can purchased as part of the $110 ticket to the show. The Dean Z Fan Experience features the best seats in the house along with a special Elvis: The Rocker Meet ‘n’ Greet and photo/autograph op with Dean Z. Tickets for this event are on sale now through Graceland Reservations by calling 800-238-2000 or 901-332-3322, online at Graceland.com, or at the door, pending availability. 10:00 am. Graceland Soundstage, Elvis Presley’s Memphis. Enjoy stories and memories from those who shared the studio with Elvis in 1969 for his legendary recording sessions at American Sound that produced songs such as “Suspicious Minds,” “In the Ghetto” and “Don’t Cry Daddy.” Hosted by Tom Brown, confirmed panelists include Memphis Boys Bobby Wood and Gene Chrisman, who were members of the legendary house band at the American Sound between 1967 until it’s closing in 1972; Mary and Ginger Holladay, who sang back-up vocals; singer/songwriter Mac Davis, who wrote “In the Ghetto,” “Memories,” “Don’t Cry Daddy” and “A Little Less Conversation”; with more special guests to be announced soon. Tickets for this event are on sale now through Graceland Reservations by calling 800-238-2000 or 901-332-3322, online at Graceland.com, or at the door, pending availability. 12:30 pm. Guest House Theater, The Guest House at Graceland. 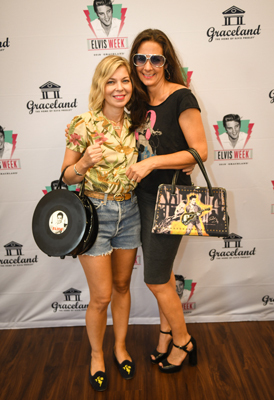 Fans and collectors from around the world will have the opportunity to participate on-site and online for this auction, featuring artifacts authenticated by Graceland Authenticated. All items in the auction will be offered from third-party collectors and none of the items included in the auction will come from the treasured Graceland Archives. The mansion and all artifacts in the Graceland Archives continue to be owned by Lisa Marie Presley and are not for sale. To register and bid online, visit GracelandAuctions.com. 6:00 pm – 8:30 pm. Elvis Presley’s Memphis. Enjoy an evening at Elvis Presley’s Memphis with music, drinks, food and fun! 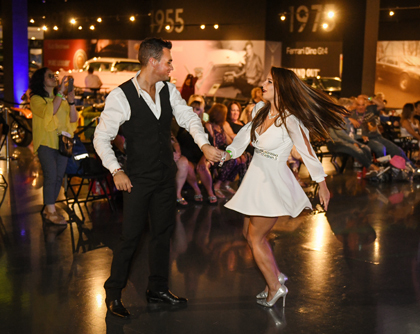 Dance to Elvis music by DJ Argo at Presley Motors while enjoying complimentary hors d'oeuvres and cash bars, test your Elvis knowledge during our trivia contests, see newly expanded Elvis exhibits and more! Tickets for this event are on sale now through Graceland Reservations by calling 800-238-2000 or 901-332-3322, online at Graceland.com, or at the door, pending availability. 9:30 pm. Graceland Mansion Grounds. Experience the beauty of Graceland as it is illuminated by world-renowned Swiss Light Artist Gerry Hofstetter as part of his "Light Art Grand Tour USA - 50 US Monuments.' The “Light Art Grand Tour USA” has been traveling since 2017 and is spotlighting one U.S. monument/landmark per state to display a light art performance - which will recall the history surrounding each individual location. Elvis Presley's Graceland was chosen for Tennessee and the mansion will be transformed into a light art sculpture as Elvis images are projected onto the façade of Graceland mansion. Fans are invited inside the gates to experience the amazing light art performance set to Elvis music. More details will be announced closer to the event. Learn more about the Light Art Grand Tour. 10:00 am. Guest House Ballroom, The Guest House at Graceland. Join us for a special event with our Elvis Week hosts, DJ Argo, Dean Z and Tom Brown that celebrates what it means to be an Elvis fan and the friendships that have been built over the years based on that special bond. This event will feature fan stories, prizes, competitions and more. Plus, enjoy a special salute to Elvis’ over 400 official fan clubs who continue to carry on his legacy around the world. Terry Mike Jeffrey will also share his Elvis fan story. Tickets for this event are on sale now through Graceland Reservations by calling 800-238-2000 or 901-332-3322, online at Graceland.com, or at the door, pending availability. 1:00 pm. Guest House Theater, The Guest House at Graceland. Join musician and historian Memphis Jones as he takes you on a journey through the roots of Memphis music. Through song and story - from Sun to Stax – dive deep into the roots of Memphis rock ‘n’ soul. The show will also feature singer Jay Dupuis who will share Elvis’ music born out of Memphis and inspired by the city he called home. Tickets for this event are on sale now through Graceland Reservations by calling 800-238-2000 or 901-332-3322, online at Graceland.com, or at the door, pending availability. 5:00 pm – 6:00 pm. Founders Lounge. Private event for Founders only. Enjoy an incredible night of music as we celebrate the 50th anniversary of Elvis’ legendary recording sessions at Memphis’ American Sound Studio. Join Memphis Boys Bobby Wood and Gene Chrisman, who were members of the legendary house band at the American Sound Studio, along with special guests Mac Davis, who wrote “In the Ghetto” and “Don’t Cry Daddy” which Elvis recorded at American Sound; the Holladay Sisters, who sang back-up during the sessions; plus lead vocalists Andy Childs and Terry Mike Jeffrey; for a special concert event featuring performances of some of Elvis’ hits from American Sound, as well as songs from the many other stars that recorded at the legendary Memphis studio. Tickets for this event are on sale now through Graceland Reservations by calling 800-238-2000 or 901-332-3322, online at Graceland.com, or at the door, pending availability. Hear personal stories and favorite memories from Elvis’ friends and family. Hosted by Tom Brown, this will be a celebration of Elvis’ legacy from those who knew him best. Guests to be announced soon. Tickets for this event are on sale now through Graceland Reservations by calling 800-238-2000 or 901-332-3322, online at Graceland.com, or at the door, pending availability. 5:00 pm. Guest House Ballroom, The Guest House at Graceland. Reserved for Guest House guests who booked their Elvis Week stay before September 4, 2018 and will be staying at The Guest House the night of August 15, 2019. Special VIP guest of honor to be announced soon. Guests who are eligible to attend will be notified via email with additional details. 8:30 pm. Gates of Graceland. After an opening ceremony at the Gates of Graceland, fans are invited to walk up the driveway to Elvis' gravesite and back down carrying a candle in quiet remembrance. Gates remain open until all who wish to participate in the procession have done so, which typically takes until the early morning hours of August 16, the anniversary of Elvis' passing. The Candlelight Vigil will be open for all to attend. No special passes or wristbands are required to participate in the Candlelight Vigil. All guests will be required to pass through security checkpoint. 9:30 am – 11:00 am. Guest House Ballroom, The Guest House at Graceland. Tickets: $50; also available as part of the Elite and Premier Elvis Week packages. Enjoy a Memphis-style breakfast while enjoying live gospel music by the legendary Blackwood Brothers Quartet. The Blackwood Brothers Quartet have a tremendous Elvis connection – from a young Elvis watching the quartet at Ellis Auditorium in Memphis to Elvis and Vernon requesting the quartet sing at Gladys’ funeral in 1958. The quartet is led by Billy Blackwood, who in October 1973, joined Donnie Sumner in the group called “Voice” that performed for a period as an opening act for Elvis. Tickets for this event are on sale now through Graceland Reservations by calling 800-238-2000 or 901-332-3322, online at Graceland.com, or at the door, pending availability. Tickets: $70, $60, $50; also available as part of the Elite and Premier Elvis Week packages. 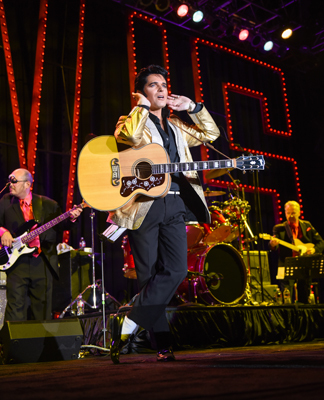 Celebrate the 50th anniversary of Elvis’ triumphant return to the stage at the International Hotel in Las Vegas with a celebration concert featuring those who shared the stage with Elvis that evening. 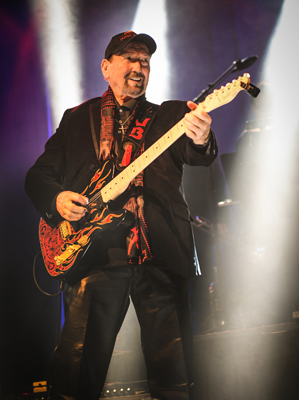 The concert will feature Elvis live in concert on the big screen, with performances by Elvis’ TCB Band – James Burton, Ronnie Tutt, and Glen Hardin – along with original members of The Imperials Terry Blackwood, Armond Morales and Jim Murray. Tickets for this event are on sale now through Graceland Reservations by calling 800-238-2000 or 901-332-3322, online at Graceland.com, or at the door, pending availability. Immediately following show until 11:00 pm. Elvis Presley's Memphis. The party continues after the 1969 Elvis Returns to Vegas concert at Elvis Presley’s Memphis with live entertainment and lots of Vegas fun! Cash bars and food will be available – and select restaurants, gift shops and exhibits at Elvis Presley’s Memphis will remain open until 10:00 pm. Elvis Week Elite Package purchasers receive free reserved seating at the after-party. Hear stories and memories from those who shared the stage with Elvis, starting with his 1969 return to the live performances through the 1970s. Hosted by Tom Brown, confirmed guests include TCB Band members James Burton, Ronnie Tutt and Glen Hardin, plus original members of The Imperials Terry Blackwood, Armond Morales and Jim Murray. Tickets for this event are on sale now through Graceland Reservations by calling 800-238-2000 or 901-332-3322, online at Graceland.com, or at the door, pending availability. Time TBD. Graceland Soundstage, Elvis Presley’s Memphis. Tickets: $65, $55, $45; also available as part of the Elite and Premier Elvis Week packages. A special concert event to close out Elvis Week 2019! Elvis’ love of gospel music started when he was just a boy in Tupelo and would sing at church with his parents. Celebrate Elvis’ life and love of gospel at this Gospel Homecoming concert with music from gospel groups with special Elvis connections, including Terry Blackwood and The Imperials and the Blackwood Brothers Quartet. More details on this event to be announced soon. Tickets for this event are on sale now through Graceland Reservations by calling 800-238-2000 or 901-332-3322, online at Graceland.com, or at the door, pending availability. Graceland introduces the all-new TCB Pass in 2019 for $28.75. The TCB Pass provides an incredible value to help you make the most of your week. With the TCB Pass, you will receive unlimited access to the Music Pavilion (more details below), unlimited access to Elvis Presley’s Memphis (more details below), plus free parking in Graceland’s Visitor Parking Lot every day after 5pm. One pass covers you for the duration of Elvis Week. This pass is only available to purchase at the Graceland Ticket Office. Graceland’s new Exhibition Space will open in May – and during Elvis Week only, will become home to a temporary Music Pavilion – the new and improved location for what was formerly known as the “Entertainment Tent.” The indoor, air-conditioned space will be home to continuous live entertainment, and will provide a comfortable area for fans to recharge and reconnect. Food and beverage options will also be available. The building is conveniently located near Graceland’s Visitor Parking Lot and is easily accessible by foot or free shuttle. Access to this space will be available with our all-new TCB Pass for $28.75 and will provide unlimited access to the Music Pavilion (seating on a first-come/first-served basis), unlimited access to Elvis Presley’s Memphis, plus free parking in Graceland’s Visitor Parking Lot every day after 5pm. One pass covers you for the duration of Elvis Week. The TCB Pass is only available for purchase at the Graceland Ticket Office. Enjoy access to Elvis Presley’s Memphis all week long with the all-new TCB Pass. Elvis Presley’s Memphis is Graceland’s entertainment and exhibit complex which features more than 12 Elvis exhibits and attractions, including the Elvis: The Entertainer Career Museum and Presley Motors Automobile Museum, plus various gift shops and restaurants. Our TCB Pass is available for $28.75 and will provide unlimited access to the Music Pavilion (see more details above), unlimited access to Elvis Presley’s Memphis, plus free parking in Graceland’s Visitor Parking Lot every day after 5pm. One pass covers you for the duration of Elvis Week. The pass can only be purchased at the Graceland Ticket Office. The Guest House at Graceland will offer many Elvis-themed fun activities and events throughout the week. From Elvis Bingo to trivia, movies and more – there will always be something going on. More to be announced soon!